Four Seasons Diamond Ring is a ring for all of the seasons of life. 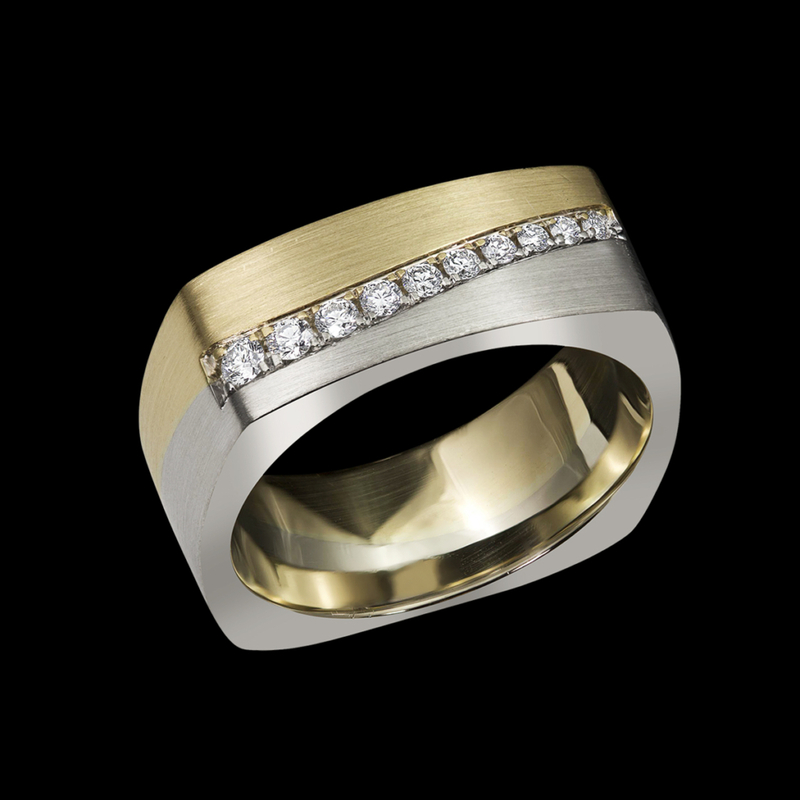 This handsome ring features pavé set diamonds in 14kt white and yellow gold with a satin finish. To purchase, call (949) 715-0953 or use our contact form below.